This entry was posted in Uncategorized and tagged Dragon Wing Begonias, Fibrous Root Begonias. Bookmark the permalink. Thanks, Janet. glad you stopped by. Oh those Wrens, they get into everything! 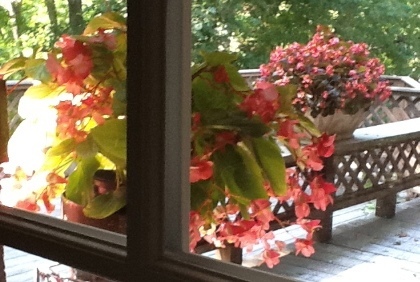 Very nice begonias! What plant performs best for you, Lona? They looks so pretty. I always kill the poor things by over watering them.